Are you a mobile app developer or publisher? Launching a new cool application or service that will help consumers? Well, you must have thought about creating the initial buzz via Facebook, inviting all your friends to like the page, run ads on social media and the number of ways to promote doesn’t literally end. But, how much will these help you? How many installs or conversions will you get? What if you’ve been targeting the wrong audience? We will put an end to all these queries and doubts because we will let you reach out to your potential audience via mobile app review program. We have been promoting mobile applications, useful tools and lots of things for the last few years and now we have this dedicated page where you can request for a promotion. Note that, we charge a bit for this mobile app review program, but it won’t put a hole in your pocket. We can also do the app review without charge and it purely depends on the editor’s schedule, but the fee you’re paying help us meet the hosting requirements, promote it on social media, run ads etc. We don’t just write about your mobile application, review it and leave. We also promote it via all our social media handles and use ads to boost your mobile application and land it to the right audience. 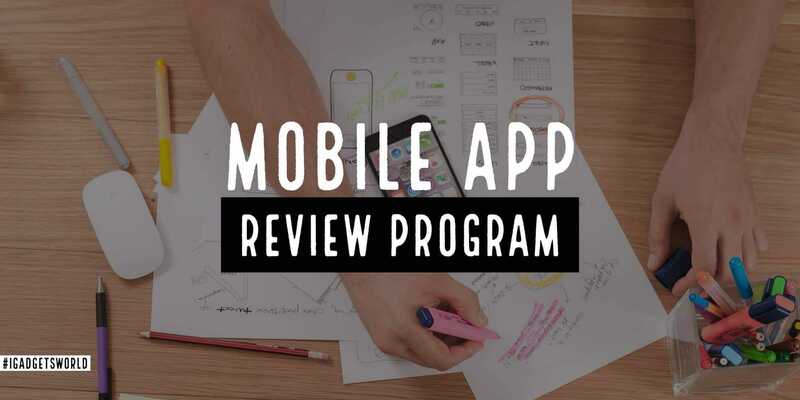 if you’re interested in getting your product reviewed, contact us by filling up the form below or reach out our editorial team at editor@igadgetsworld.com with subject Mobile App Review Program.